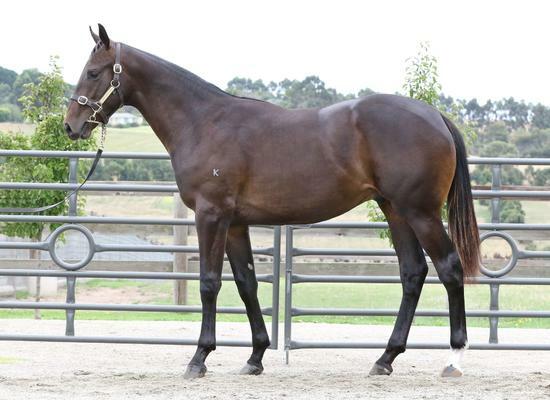 This lovely Colt was purchased from the Inglis Melbourne Premiere yearling sales a very strong athletic colt by Sebring out of a Testa Rossa mare, Subliminity who was a winner of 5 races including a stakes race. A lovely strong colt with unlimited scope and there is just so much to like about him. SEBRING (AUS) (Chestnut 2005-Stud 2009). 5 wins at 2, STC Golden Slipper S., Gr.1. Sire of 592 rnrs, 371 wnrs, 36 SW, inc. Dissident (ATC Randwick Guineas, Gr.1), Criterion, Egg Tart, Lucky Bubbles, Bring Me the Maid, Gold Standard, Seaburge, She Brings Joy, Catch a Fire, Hattori Hanzo - Let Us Win (H.K. ), Believe Yourself, Ulmann, Thurlow, Art Series, Broadband, Acatour - Great Honour (H.K. ), Turbo Miss, Clifton Red, Supido, Kiss a Rose, etc. Gruosi (g. by Lonhro). Winner at 1400m in 2016-17 in Aust. All Too Sublime (g. by All Too Hard). Placed at 3 in 2017-18 in Aust. SUBLIMITY (Testa Rossa). 5 wins. See above. METEOROID (Northern Meteor). 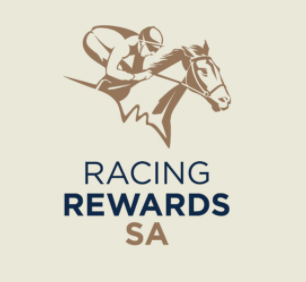 8 wins at 1200m, 1400m, A$311,090, to 2017-18, WATC Belmont Newmarket H., L, Birthday S., L, Perth Racing Twitter H., Perthracing.com.au H., Italo-Australian Welfare H., Westspeed H., Perth Racing TV H., 2d WATC Jungle Mist Classic, L, WA Bookmakers Association H., Perth Racing Membership H., Terrace Restaurant H., 3d WATC Bernard Couch Memorial H., 4th WATC Jungle Dawn Classic, L, Jungle Mist Classic, L.
Champagne Charlee. Winner at 1400m in 2016-17, BRC Doomben Ten Thousand P.
PALENTINO (Teofilo). 5 wins from 1300m to 1600m, A$1,305,110, to 2016-17, VRC Australian Guineas, Gr.1, Makybe Diva S., Gr.1, Blamey S., Gr.2, Hilton Hotels & Resorts S., L, 2d MVRC Alister Clark S., Gr.2, VRC CS Hayes S., Gr.3, 4th ATC Doncaster H., Gr.1, MRC CF Orr S., Gr.1, MVRC Australia S., Gr.2, MRC Regal Roller S., L.
Watch Over Me. 4 wins to 1200m to 2016-17, Devonport RC Simons Design Centre H., TTC Southern Cross H., Wordsmith Newmarket H., 2d Devonport RC Dannebrog H., Boags Draught H., TRC Birdcage Tavern H., TTC Luxbet H., 3d TTC Sues of Invermay H., McCrimmon Insurance H., Olde Tudor Hotel H., Electrical Edge H.
The Widder. 3 wins to 1400m, WATC Wolfetones Australian Tour January H., Perthracing.com.au H., 2d WATC Ozbet.com.au H., Westspeed 3YO H., 3d WATC Playeronline.com.au H.
Money Pit. 7 wins from 1100m to 1800m in Aust. County Attraction. 4 wins-2 at 2-at 1000m in Aust. Ratesta. 3 wins to 1500m in Aust.